Ted Deutch is a Jewish American politician who currently serves in the U.S. House of Representatives. Deutch was born on May 7, 1966, and raised in Bethlehem, Pennsylvania. He is the youngest son of Jean Deutch and the late Bernard Deutch, a World War II veteran who earned a Purple Heart during the Battle of the Bulge. After graduating from Liberty High School in 1984, Ted went on to study at the University of Michigan and the University of Michigan Law School. 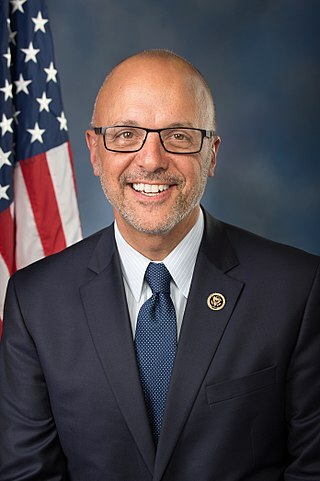 Congressman Ted Deutch was elected to represent Florida’s 19th district in the United States House of Representatives by a Special Election on April 13, 2010. Prior to his election, Deutch served four years in the Florida State Senate, where he quickly became known as a hardworking, talented legislator and a rising Democratic voice in Florida. Deutch’s priorities in Congress include strengthening the health and financial security of America’s retirees, creating economic opportunity for small businesses and young families in South Florida, and protecting the national security interests of the United States, Israel, and our international allies. As a Florida State Senator, Deutch earned national recognition for passing legislation making Florida the first state in America to exert economic pressure aimed at thwarting Iran’s nuclear weapons program. The language of Deutch’s law was later incorporated into sanctions legislation at the federal level as part of the Iran Sanctions Act of 2010. Within his first month in Congress, Deutch’s expertise on divestment and the identification of companies supporting Iran’s energy sector was solicited for testimony by the United States Senate Committee on Homeland Security and Intergovernmental Affairs. His interest in national security matters and the Middle East is inseparable from his lifelong activism in the pro-Israel community. Deutch also passed legislation in Florida that reduced smoking across the state and funded critical health care programs, including cancer research. Organizations such as the American Cancer Society, the National Committee to Preserve Social Security and Medicare, and the Florida Education Association have recognized Deutch for his advocacy on behalf of seniors, children, and working families. Deutch considers the opportunity to serve in Congress a great honor and a continuation of his lifelong commitment to bettering the community and the world. This commitment to service has earned him prominent awards, including the prestigious Harry S. Truman Scholarship and the James and Marjorie Baer Leadership Award from the Jewish Federation of South Palm Beach County. In December 2015, Florida underwent redistricting due to a Supreme Court ruling, swapping the districts of Deutch and fellow Democrat Lois Frankel of the 22nd congressional district. Deutch and Frankel agreed to run for each other’s seats in 2016. Both won and were then reelected in 2018. Ted and his wife, Jill Deutch, moved to South Florida in 1997. They live in West Boca Raton with their twin daughters, Gabrielle and Serena, and their son, Cole.